Himachal Pradesh Public Service Commission has invites job openings with reference to filling up of 71 posts of Horticulture Development Officer in the department of Horticulture through One Time Registration System (OTRS). Candidates, who are interested for the following Govt. sarkari naukri new job may offer their application form before the last date.. Candidates who have completed M.Sc Horticulture/ Agriculture in pomology, fruit breeding & genetic resources, post harvest technology, floriculture & landscaping etc disciplines can apply. General candidate- Rs.400/- , SC/ST/OBC/General BPL of HP –Rs.100/ through Debit card/ Credit Card/ E-Challan’’. Last date for submission of application- 21-10-2018. 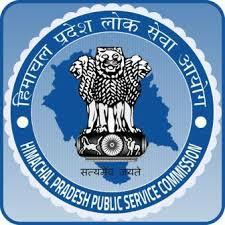 Eligible and interested candidates can apply online at HP PSC official website on or before 21/10/2018 only.